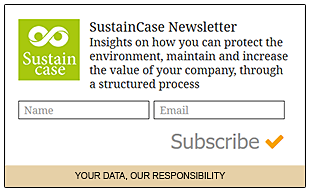 This case study is based on the 2014/2015 Sustainability Report by Coca-Cola published on the Global Reporting Initiative Sustainability Disclosure Database that can be found at this link. Through all case studies we aim to demonstrate that CSR/ sustainability reporting done responsibly is achieved by identifying a company’s most important impacts on the environment and stakeholders and by measuring, managing and changing. Coca-Cola is a global company, with its products sold in more than 200 countries and territories. Where it can, Coca-Cola utilizes a localized operational approach as much as possible – making its products in the same markets where it sells to its customers. This creates a business imperative that complements Coca-Cola’s ethical drive: Coca-Cola is working to promote the sustainability of local water sources everywhere it operates. Tweet This! After measuring and setting targets, Coca-Cola took action to safely return to communities and nature an amount of water equivalent to what Coca-Cola uses in its finished beverages and their production, improve water efficiency in manufacturing operations, assess water source risks, recycle and treat water and, also, engage bottling partners, government agencies and surrounding communities in India to help replenish water resources. In its 2014/2015 Sustainability Report Coca-Cola identified a range of material issues, such as active healthy living, packaging, human rights, product and ingredient safety. Among these, working to promote the sustainability of local water sources everywhere it operates stands out as a key material issue for Coca-Cola, given that communities around the world rely on a sufficient quantity of safe, accessible water from sustainable ecosystems for their continued prosperity. Using recognized sustainability reporting standards and working together with a third-party management consulting firm, Coca-Cola began with a list of 100 environmental, social and governance topics of potential relevance. From this list, Coca-Cola identified the most relevant sustainability topics for the Coca-Cola system – reviewing a broad variety of internal and external stakeholder source documents, including interview transcripts, questionnaires and surveys from direct engagement with its stakeholder groups. The questionnaires Coca-Cola used were from prominent ranking organizations including DJSI, CDP and UNGC. Coca-Cola also reviewed documents that revealed the interests of its investors and the issues identified by its industry peers. Coca-Cola held sessions to ensure that face-to-face engagement with diverse groups of stakeholders informed its analysis, including through its collaboration with Ceres. Coca-Cola aligned topics to its business and a benchmark of industry peers and global trends. 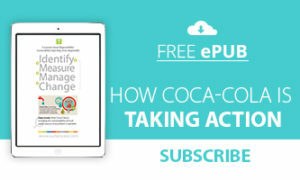 Coca-Cola engaged executives across The Coca-Cola Company and received feedback from Finance, Legal, Audit, Technical, Chief Sustainability Office and Public Affairs & Communications, who reviewed and vetted both the process and outcomes. What actions were taken by Coca-Cola to promote the sustainability of local water sources everywhere it operates? Between 2005 and the end of 2014, through 209 community water partnership projects in 61 countries, Coca-Cola balanced an estimated 94 percent of the equivalent amount of water used in its finished beverages (based on 2014 sales volume). This totals approximately 153.6 billion liters of water replenished to communities and nature. In addition to improving water quality, quantity and access, Coca-Cola’s projects often provide additional community benefits, such as helping to improve local livelihoods and mitigate the effects of climate change, including biodiversity loss. For 12 consecutive years, overall water efficiency in manufacturing throughout the Coca-Cola system has improved. Coca-Cola has achieved this by monitoring water efficiency and following a continuous improvement process across all its facilities. In 2014, Coca-Cola used an average of 2.03 liters of water for each liter of product produced – a 10 percent improvement since 2010 – moving it toward its 2020 goal to use 1.7 liters of water per liter of product. Through its water stewardship program, Coca-Cola has implemented a rights-based approach to water. Coca-Cola requires its system’s bottling plants to assess vulnerabilities of the quality and quantity of their community water sources and production water (if they differ); determine potential impacts from Coca-Cola’s water use and discharge of wastewater; and then address the issues identified in the development and implementation of a source water protection plan (SWPP). With its new systemwide database, Coca-Cola has been able to streamline its tracking and reporting process, thereby strengthening its governance ability. As a result, by the end of 2014, all the bottling plants in the system conducted a source water vulnerability assessment and the majority of plants began SWPP implementation. Built in concert with communities and local authorities, these plans help Coca-Cola identify and mitigate risks present in a given area. They address numerous water issues related to the needs and growth of its business and of the communities where Coca-Cola operates. Coca-Cola seeks not only to maintain regulatory compliance, but also to build a Company culture focused on water resource sustainability. Coca-Cola continues its commitment to return to the environment – at a level that supports aquatic life –recycled wastewater from its manufacturing process. For all new, existing and acquired facilities, the water Coca-Cola returns is cleaned and treated to meet Coca-Cola’s own high internal standards and achieve full compliance with local regulations. 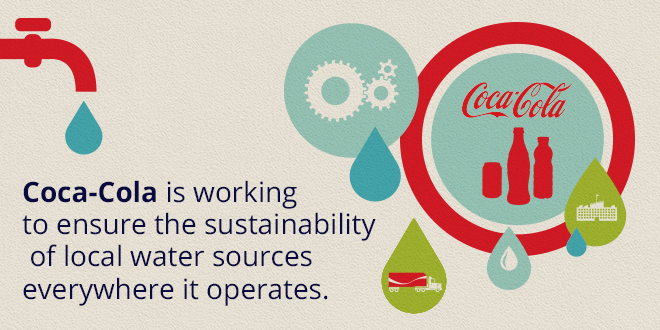 In 2014, Coca-Cola achieved 99 percent alignment with its wastewater treatment standards. A few plants still needed to meet this standard and were delayed due to extenuating circumstances in their region. In order to accelerate improvements to the quality of water Coca-Cola’s facilities recycle and discharge back into the environment, as well as the efficiency with which Coca-Cola processes that water, Coca-Cola is currently transitioning its wastewater governance and technical support programs into a performance-based model. Managing this process is not always easy at facilities in parts of the world experiencing violent conflict, civil unrest and other challenges. Societal conditions sometimes prevent Coca-Cola’s local operations from investing what is required to achieve its goals. However, Coca-Cola supports all of its facilities in their efforts and will continue to do so in the future. In India, Coca-Cola is employing the Golden Triangle of partnerships by engaging its bottling partners, government agencies and surrounding communities to help replenish water resources. Coca-Cola continues to advance work on a variety of water replenish projects from rainwater harvesting and groundwater recharge initiatives to drip irrigation and laser leveling projects with local farmers to improve irrigation efficiency and productivity. Coca-Cola’s success in this region has improved the way it works on water projects in other parts of the world, as it looks to scale and replicate best practices across the Coca-Cola system. Note to Coca-Cola: With each case study we send out an email to your listed address in request for a comment on this case study. If you have not received such an email please contact us.